“The computer simulations used to design, optimize, test or control a vast range of objects and products in our daily lives are underpinned by finite element methods. Finite element simulations use a mesh of geometric shapes — triangles, tetrahedra, quadrilaterals or hexahedra, for instance. 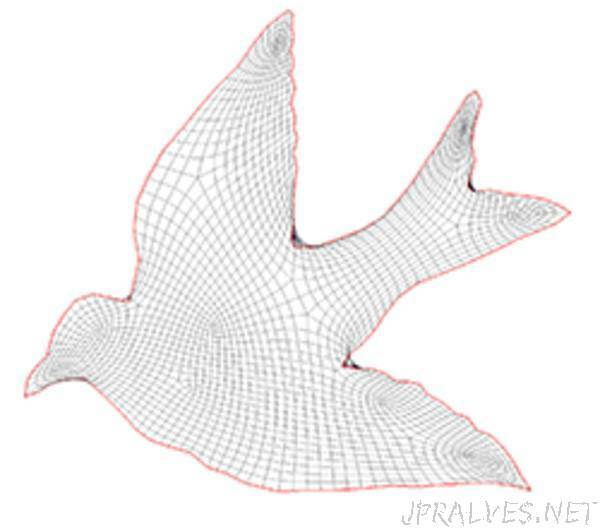 These shapes can be combined to form a mesh that approximates the geometry of a model. For example, meshes can be used to model the human knee in biomechanics simulations, create computer-animated movies or help developers bring products, like airplanes and cars, from concept to production more quickly via better prototypes, testing and development. The KU researcher said the use of a tangled mesh in a finite element simulation can lead to inaccurate results — with potentially disastrous consequences in biomechanical design, product development or large-deformation analysis. Among many biomechanics applications, the researchers hope their work could lead to improved untangling of finite element meshes used to model the brains of patients with hydrocephalus. In these patients, large ventricular displacements of the brain can be modeled with finite-element simulations — but the models often result in tangled meshes.